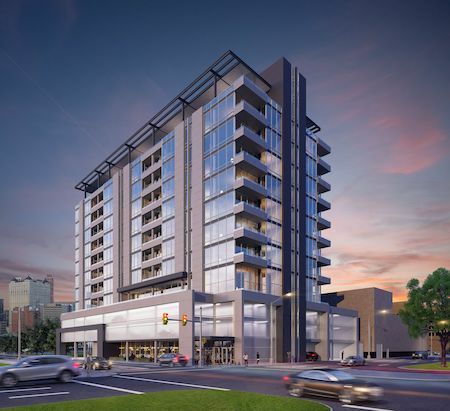 Max Broock Realtors today announced a re-entry to the Detroit real estate market as the exclusive listing agent for The Ashton, a new 12-story luxury condominium high rise slated to open in early 2019. The 98-unit project will be the first free-standing, high-rise complex built in Detroit in more than 20 years. It is the result of a partnership between Detroit-based companies The Means Group and 600 Development Group. Though the units haven’t officially listed and ground is yet to be broken, Grothe adds that more than 100 inquiries have already been made and there’s currently a waiting list to make reservations. Featuring views of the Detroit River and city skyline, The Ashton will be located at 659 Howard St. and units will range in size from 700-2,500 square feet. More information about the development can be found here.